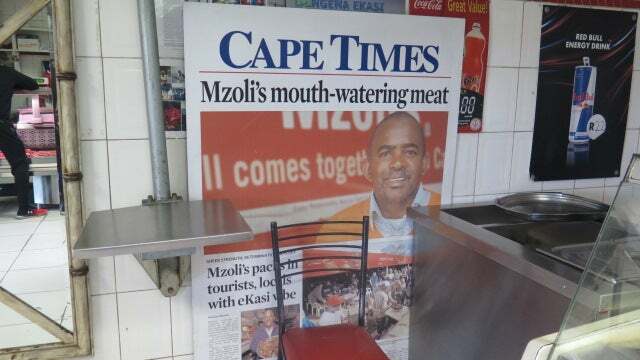 “The only stories that you hear about our hood are negative, but we have so many positive stories,” says guide Vincent Ntunja as we begin our 10km run outside Mzoli’s, famous for its barbecue meat South Africa-wide, on a Saturday morning. The Gugulethu township may not be the first place that springs to mind when you think of doing a running tour of South Africa. And Ntunja himself prefers shooting hoops to pounding the pavements, if it comes down to it. But five years after launching his tours of “Gugs”, as this area of Cape Town is known, visitors are growing at a steady pace. “Sight running”, or urban running tours, have popped up in some of the globe’s major cities, designed for serious and recreational runners. Ntunja, who was born, bred and still lives in Gugs, has brought the idea to right outside his doorstep. His main aim? To educate tourists about his neighbourhood. Gugulethu has a prominent place in South Africa’s history, which Ntunja relates while weaving in his own remarkable story. He was born in 1981 among the craziness of the “cockroaches”, as the township’s distinctive taxis, have been dubbed. “A cockroach just shows up anywhere. That’s how the guys drive, so we call them cockroaches,” he explains, assuring me that I’ll be fine as long as I keep to the roadside. 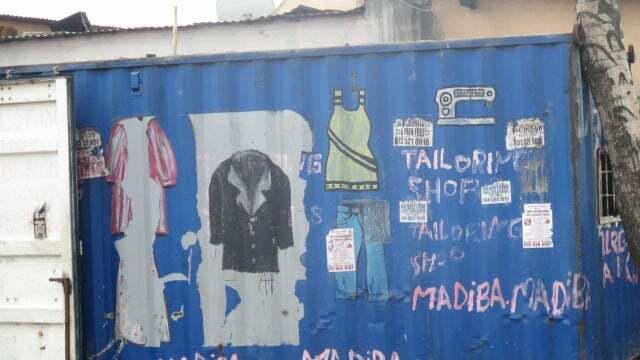 Kids are shouting at me “mulungu mulungu” (white person) as we run past colourful containers belonging to tailors with “Madiba” (Mandela), who would have turned 100 this year, written on them. “It’s not normal that we see white people waking up in the morning and coming to run here,” says Ntunja. He grew up in a two-bedroom house with his parents, two younger brothers, grandmother and five cousins. When he was about 12, his father, a petrol attendant and football player, was fatally stabbed by a local club fan. Ntunja had already been running for at least a year to keep fit, but was expected to follow in his father’s footsteps and play football. Given the lack of opportunities in the game, he turned to basketball instead and in 1998 was selected as one of only four Africans to take part in a Michael Jordan camp in the US. The trip was even more significant as it was offered by the foundation set up in memory of murdered US anti-apartheid activist Amy Biehl. Biehl was a student at the University of the Western Cape when she was killed by a mob in 1993. The four men convicted of killing her spent nearly five years in jail before being granted amnesty through Biehl’s parents and South Africa’s Truth and Reconciliation Commission. “This is the place where she took her last breath,” says Ntunja, pointing towards a bronze cross marking Biehl’s death, a challenging but necessary stop. When he was offered the scholarship and trip to the US, Ntunja couldn’t believe it. In 2013 he met fellow Capetonian Philippa Jephson, who sowed the seeds for his running tour; she was already doing city sight running tours with the company she created, Run Cape Town. They began working together and attracted their first international tourist from Sweden in 2013. Since then, there have been people “from all walks of life” and myriad countries, including France, Venezuela and New Zealand. Some of those involved in Cape Town’s tourism industry have recently called for “tourism in townships, not township tourism”. Run Cape Town considers itself a proponent of ethical tourism: tourists aren’t taken to schools or orphanages and leave no carbon footprint. Ntunja gets between one and 30 people per tour, and puts on special runs for events like South Africa’s annual Mandela Day. 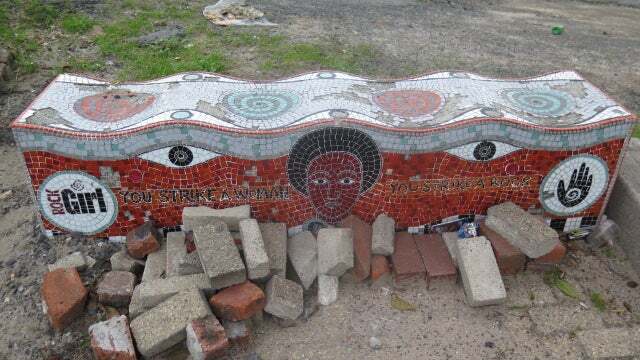 The runs underline the story of the “Gugulethu Seven” – seven young local men shot dead by the police in 1986 – with a stop at a memorial. 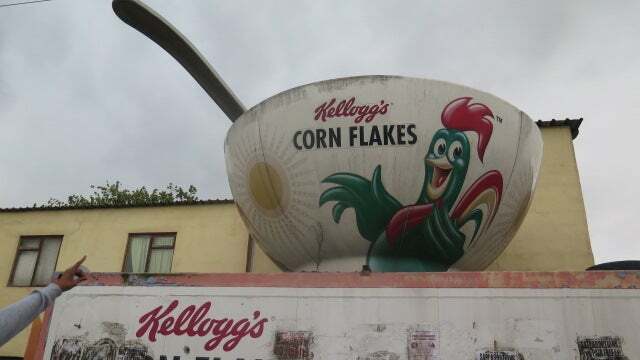 The tours also point out the area’s famous black and white sign boasting its name, “our pride”, and even what is reportedly the world’s largest cereal bowl. 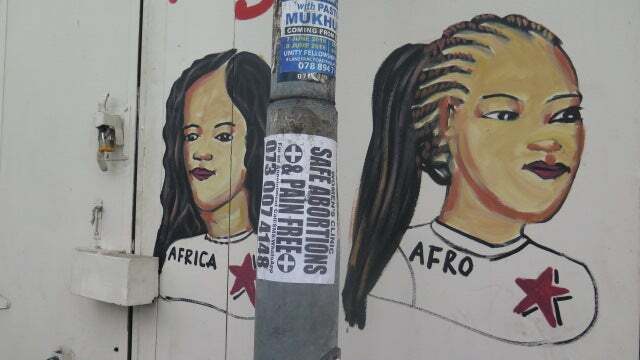 My favourite stop is a block decorated in a colourful tiled mural painted by children, where we are joined by two of Gugs’ emerging basketball players, Thalitha Memani, 15, and Amber Sylvester, 17, whom Ntunja is mentoring. I am told I must do an “agility test” by jumping from the top on the count of three. The two girls join in, shaking their hips: it’s more a great photo opportunity than a test. But the most symbolic stop is the penultimate one, just before a delicious meal at Mzoli’s. At the Gugulethu Sports Complex, Ntunja shows me the court that’s been named after him for his efforts helping youth and communities across South Africa. 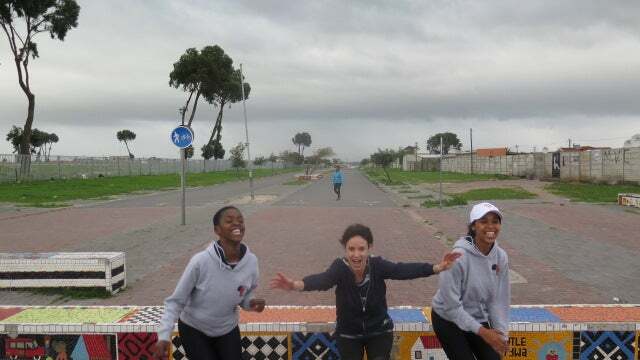 Running tours of​ Gugulethu cost around R750pp (£40); 5km, 8km and 10km routes are available.